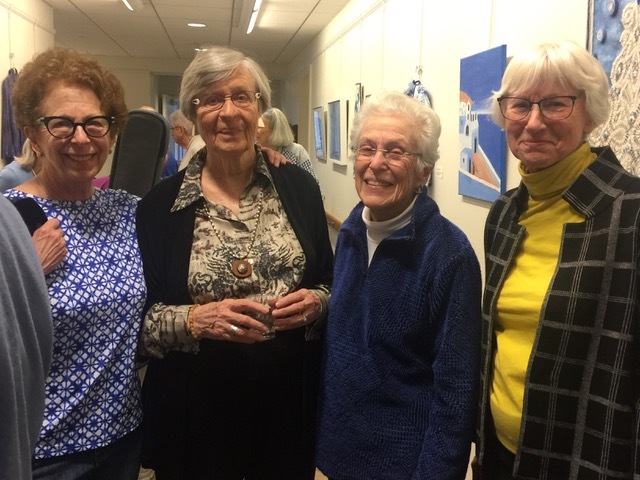 The Always-Active Trips Committee recently announced a new Trip, this one on Wed., May 17 to the Union Church and Stone Barns in nearby Pocantico Hills. An afternoon tour of this small country stone church, renowned for its stained-glass rose window by Matisse and nine stained-glass windows by Chagall, commissioned by the Rockefellers in memory of family members, will give the participants something unusual to behold. The Committee notes that the aisle of the church is too narrow for wheelchairs. Please take that into consideration when signing up. The trip will include a stop at Stone Barns for refreshments at Blue Hill Café and a look at the Farm Store for gifts or seasonal produce. 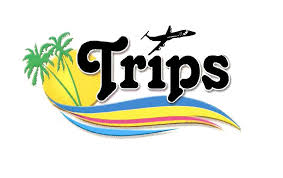 Signup as usual will be in the Trips Book located in the Activities Alcove. A NEW COURSE: IMPEACHMENT NOT 2019 or 2010 but 1868 AND ANDREW JOHNSON will be offered by Kendal’s own Pulitzer Prize Winner, Bill McFeely. Bill advises that the participants will use Brenda Wineapple's American Scholar article (to be supplied) to get the participants started. The group will deal with crucial Reconstruction issues and ask about charges against President Johnson. Bill further advises that the current PBS television program, “Reconstruction,” is helpful. The course is limited to fifteen members only. It will take place on Fridays: May 10, 17, 24, 31; at 11:15 in the Residents Association Office. Sign up as usual will be in the Activities Alcove off the Lounge, starting Wed, April 25. We want to give you a “heads up” for an upcoming one time lecture on a fascinating subject. A sign-up sheet will be distributed soon. This will be a prime opportunity to increase your own intelligence and to learn the importance of AI and how it might affect our lives here in the U.S.
Do you remember the childhood game of Ring-Around-A-Rosy which ended with “All Fall Down”? Falling down might have been fun when you were a kid. It’s no fun at all when you are an adult, especially one of a certain age. Kendal’s Fitness Coordinator, Cathy DiSomma is offering a special one-day session Tuesday April 23, 3:30-4 pm in the Private Dining Room on, “ The Importance of Strength Training”. There will be a Powerpoint presentation produced for Kendal residents by Pace University students. All residents are invited to come learn how strength training can improve overall balance and posture and, perhaps, keep you from falling down. All of us here at Kendal should go out of our way to welcome our new neighbors. They are Elaine Crimmins who moved in on April 16. She has loved living in the City, specifically Greenwich Village, and chose Kendal on Hudson because of its proximity to Manhattan. Her professional life had two distinct chapters. First she worked in Community Health as a Nurse Practitioner and then became a lawyer working for Social Security on appeals. Elaine looks forward to making new friends at Kendal. We have also welcomed Llyn and Alice Clague who moved on April 15 from Hastings on Hudson. Alice was a demographer/statistician for the UN, tracking the makeup and trends in populations and working to help make the world safer. Llyn’s day job was on the international side of Human Resources for large corporations (GTE) as well as for smaller consulting companies. Llyn plays tennis, loves poetry, literature and the arts, while Alice is a quilter. Both are bridge players. They have two children and three grandchildren. Click on any photo to see the next one. Lin Bermas at the exhibit. The One Future Committee,, made up of residents and management personnel, has selected the firm of Noelker & Hull to help in developing a long range master plan for Kendal on Hudson. A sub-committee headed by Caroline Persell is drafting a plan for working with N & H to achieve the master plan goals. This firm has worked in the past with Quaker and non-profit life care communities. N & H also worked previously with our dining redesign committee which was impressed with their work. Professionals from N & H are expected to be on site soon to begin working with the entire One Future Committee. Wednesday May 10 to the Untermyer Gardens in Yonkers. Sign-up, as always, is in the Trips Book located in the Activities Alcove. Questions. Get in touch with Jan Myers. The Kendal Passover Seder will be held on Friday, April 19 at 5:30 pm. There are still two seats at the table available. Sign-up is in the Activities Alcove. The last of the Great Decisions discussions will be held on Monday, April 15 in the PDR at 10:00 am. The topic will be “United States and Mexico: A Partnership Under Stress.” Bill Schreiber will lead the discussion. The Getting To Know You Saturday Program, in observance of the religious holidays, will hold its next meeting on May 18 at 2:15 pm instead of April 20.